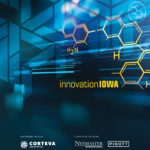 LEAH (Lifengine Animal Health) Laboratories: $50,000 seed investment by the Ag Startup Engine at Iowa State University. LEAH Laboratories’ technology enables precision gene editing for treatment of B cell lymphoma in dogs, the most commonly managed cancer in veterinary oncology. LEAH Labs is the eight startup Ag Startup Engine has invested in since forming in 2016.